Jill played with the Braddock Road Bluebelles, which won the first ever U19 US Youth Soccer National Championship. Her high school team was Virginia State Champion in 1984. She was an All-America selection at the College of William and Mary. 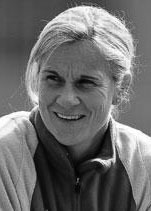 As head coach, Jill guided UCLA to eight College Cup appearances and five Pac10 Conference championships, and was awarded the National Coach of the Year award in 2002. She coached the U20 and U21 Women’s National Teams and the Olympic gold-medal winning US Women’s National team. Jill is currently the Director of Development for US Soccer, where she oversees the Youth National Team program and the US Youth Scouting Network, and coaches the U17 Women’s National Team.